Snowtrax is a leading Alpine Activity centre situated in Christchurch on the South Coast of England. The site was built in 1989 and offers activities which include Skiing, Snowboarding, alpine activities such as tubing and ski-bobbing. They offer lessons and coaching for all ages along with recreational use of the snow sports slopes. There is also a large Alpine Adventure Park on site with zip-wire, trampolines and a Pirate Ship. 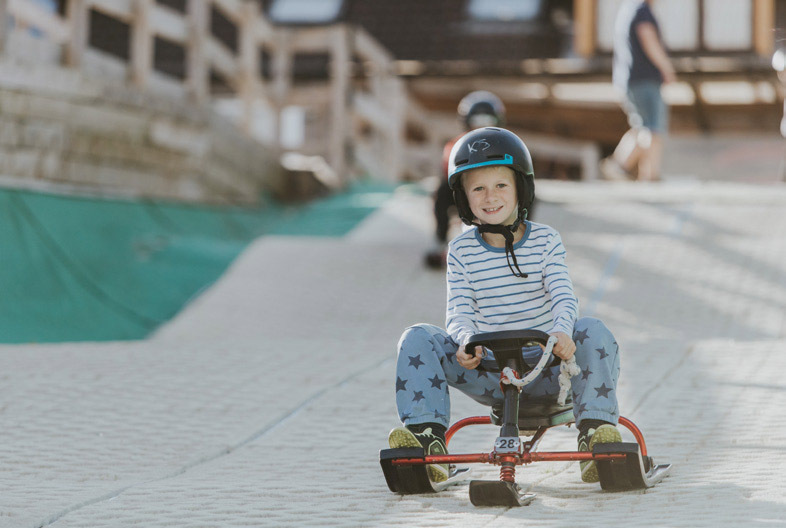 Snowtrax undertook a major redevelopment of their snow sports surface as they saw a major barrier for participation across all disciplines of snow sports with their existing surface. 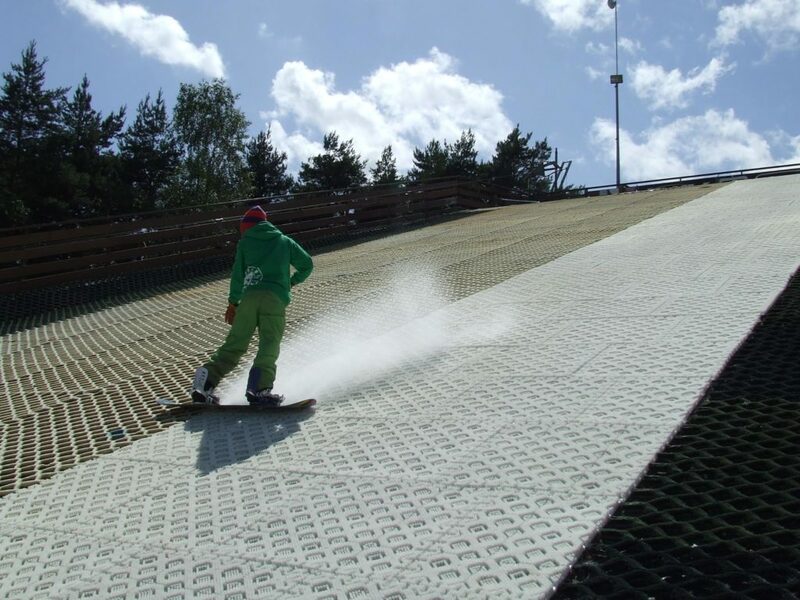 Proslope, a recent addition to the snow sports surface market, grabbed their attention as it was closest artificial surface that mimicked snow like conditions for speed and edge control. The project took place over 3 stages. The first stage was completed in November 2011 and consisted of re-surfacing the 110-metre main slope and a remodelling of the bottom section to include a 3-metre jump and a counter slope to assist the return of users to the lift. The second stage of the re-development took place during 2013 and involved of a redesign on the intermediate ski and snowboard slope which included the installation of a ‘moving carpet’ lift system to assist both skiers and snowboarders and customers using the skibob slope. The slopes used for ringos and skibobs were also resurfaced using Proslope. While these activities do not require the ‘tech’ in Proslope, this surface still provided the best sliding surface. 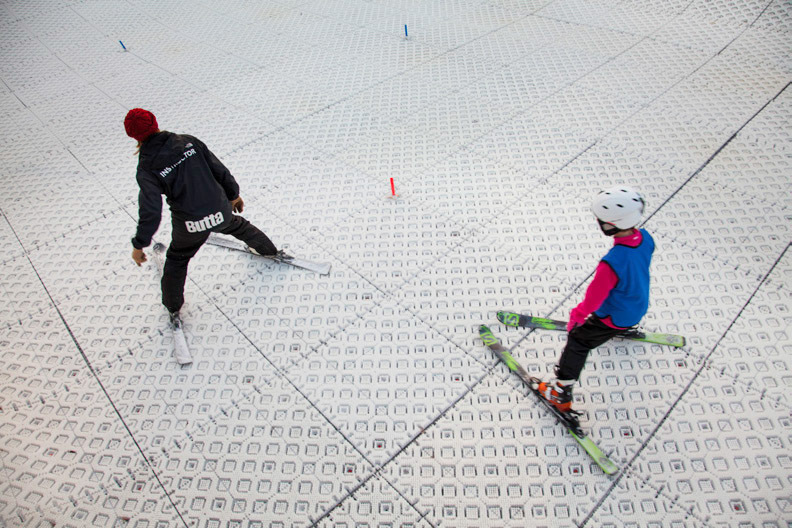 The third and final stage was the beginner area, this included further installation of Proslope plus two ‘moving carpets’ to assist an uphill lift and more enjoyable experience for customers on their first snow sports lesson. Each mat is 1 square metre which eased the installation process. This is a versatile size not only to install on large areas but also for any irregular areas. The mats can also be easily cut to size or flexed to suit most terrain. Better edge control – this holds true for customer from beginners to advanced racers. Safer – instance of a fall the addition of the underlay helps to absorb the impact. Their accident report rate has dropped considerably. Faster – the multi-level bristle, not only assist with edge control but also help with speed. Aesthetics – looks like snow and the design of the mat has tremendous appeal to ‘give it a go’!